Anyways, I made the recipe following the directions but as I was making it I wasn’t sure about it, at all. To be honest, I feared it would taste and smell like choucroute (a French dish which is basically sauerkraut braised in white wine) plus potatoes. Man, I was wrong. It was delicious. So delicious I couldn’t believe it. 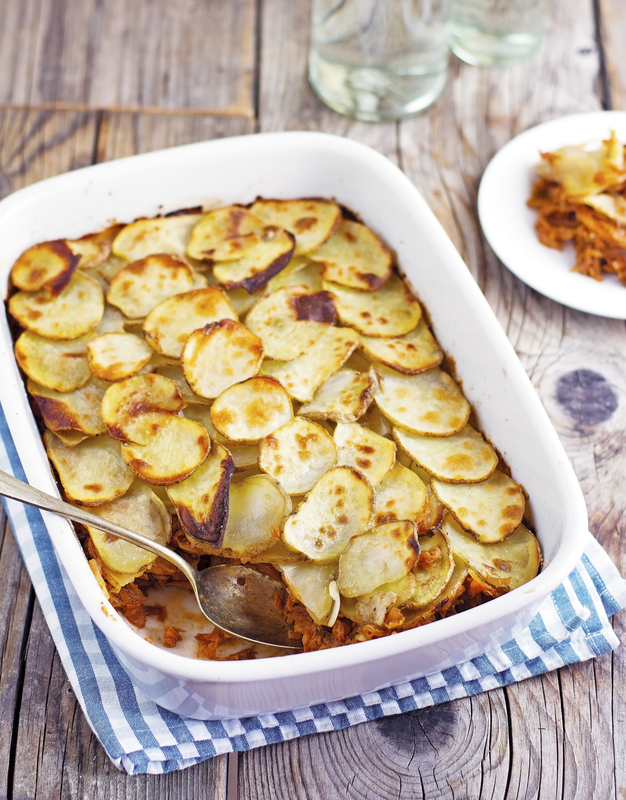 The filling in this Cabbage and Potato Pie is made with onions, cabbage, and seasoning. I tinkered the original recipe to make it work for me — less onion, less cabbage, and different spices. The caramelized onions provide the base for a rich, nuanced flavor. The cabbage is cooked down with tomato paste, sugar, and spices. 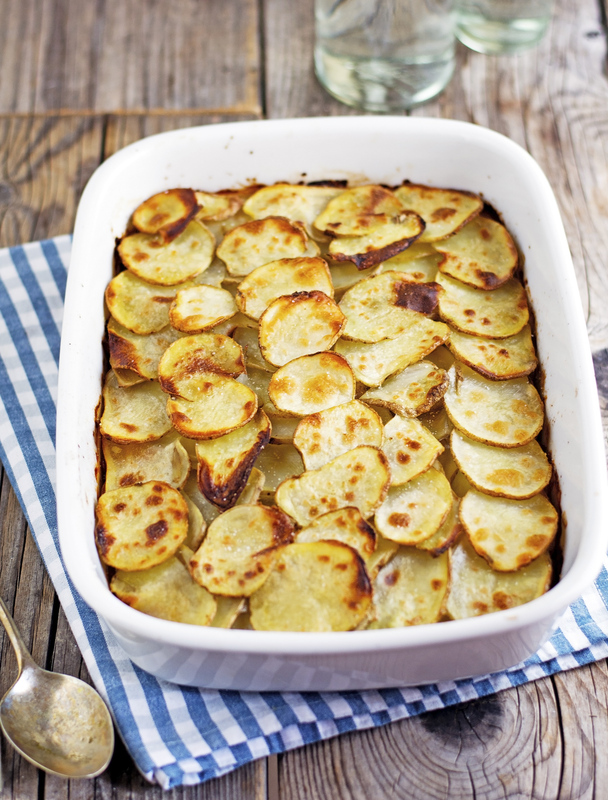 Then it’s topped with sliced potatoes and baked for 30 minutes. What comes out of the oven is a hearty, flavorful, and rich (vegan) pie/casserole that can be served as a main or a as side dish. I actually have never seen meat-lovers loving a vegan dish that much. But it happened with this casserole. And you know the best part? It’s probably the most budget-friendly recipe ever: onion, cabbage, and potatoes. Three of the cheapest vegetables known to man. Score! Cabbage and Potato Pie Print this recipe! Preheat oven to 400°F (200°F) and place a rack in the middle. Lightly grease a large baking dish and set aside. Heat 2 tablespoons of olive oil in your largest pot over medium-high heat. Add onion and sautè for about 6 minutes until translucent. Add shredded cabbage, sprinkle with salt, and cover with a lid. Reduce the heat to medium heat and cook for 10 minutes without lifting the lid. Remove the lid, give a good stir and add tomato paste, sugar, allspice, and cayenne pepper. Give a good stir, cover with the lid, and cook for 10 minutes. Remove the lid and cook for further 10 minutes, stirring every now and then, until the cabbage is wilted and soft. Transfer the cabbage to the prepared baking dish and press it down evenly with the back of a spatula. 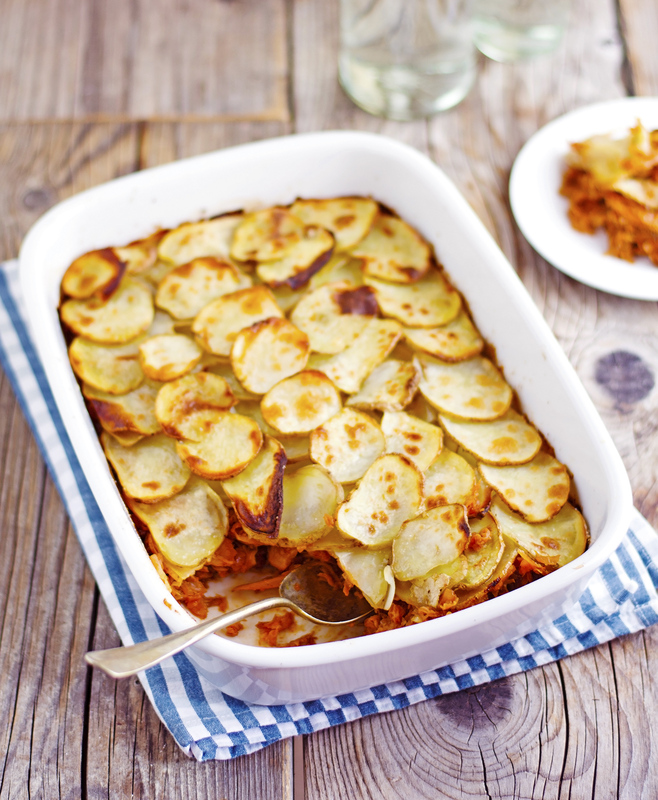 Top with potatoes, overlapping slices. Brush the top with a bit of olive oil and sprinkle with salt. 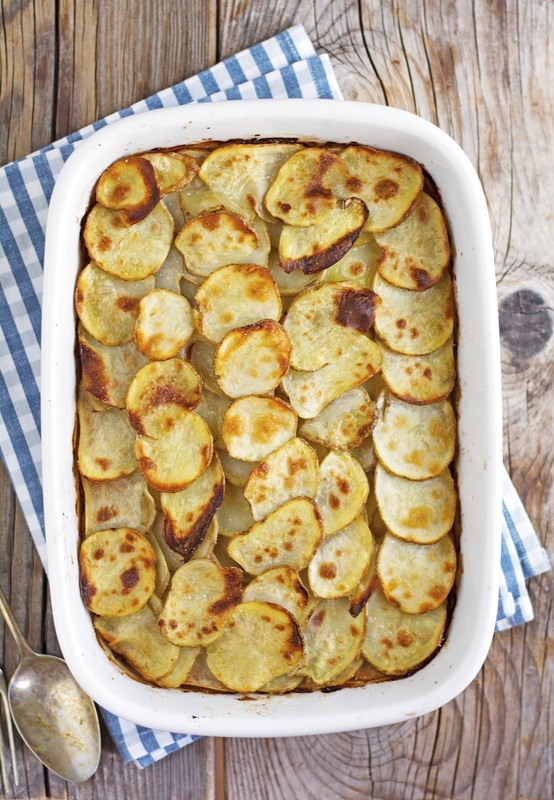 Bake in the oven for 30 minutes or until the potatoes are golden and crisp. One serving (as a main) yields 323 calories,11 grams of fat, 53 grams of carbs, and 8 grams of protein. One serving (as a side) yields 161 calories, 6 grams of fat, 26 grams of carbs, and 4 grams of protein. So good! Thank you for yet another easy, delicious, budget friendly and flexible recipe. I have already made this twice in the short time since you posted due to overwhelming family demand (for a cabbage dish!). The second time I substituted Chipotle pepper for the cayenne (less heat but increased smokey goodness) and added a little over a cup of cooked French green lentils to fit my family's dietary preferences. So yummy and filling, definitely a recipe that we will be adding to the rotation. I'm gonna try it as well with chipotle, sounds like a great tweak!